As of today, tattoos have become more popular than ever, but for various reasons, a considerable number of people decide to remove their tattoos. 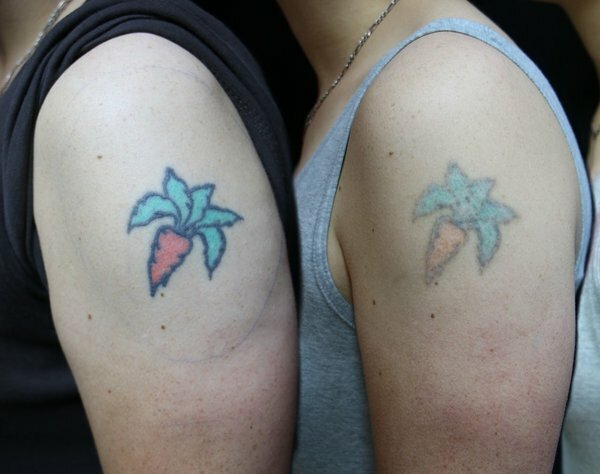 Thanks to laser tattoo removal technology, getting rid of a tattoo is no longer an impossible task. Laser tattoo removal requires a considerable amount time. Depending on some factors the removal process can last months. In other words, do not expect instant results. Here are a few of the actors that will determine the length of the process. The type of the skin is a crucial fact in determining the duration of the treatment. Tattoos in darker skins need a relatively longer period to get removed. This more extended period is due to the strength of the laser used. The less contrast between the skin color and the color of the tattoo the lower the intensity of the laser used to avoid burning the skin. The reduced power of the laser means less ink is broken up with each treatment, therefore, the longer the total treatment time. Color and type of ink used in the tattoo is another decisive factor that determines the duration of laser tattoo removal. Black and dark inks are the easiest to remove. The laser works by the ink absorbing the intense light and breaking the ink into small particles. Lighter or pastel inks are harder to remove because they do not absorb the intense light easily. Some inks even reflect the light and are difficult to remove. The deeper the ink penetrates the skin, the harder it is to remove. Professionally applied tattoos have deeper ink penetration than amateur tattoos thus they are harder to remove. Older tattoos are easier to remove than new tattoos. Over time the ink in the tattoo may have broken down and faded. Tattoos on the hands, lower legs and feet take longer to remove than tattoos on other areas of the body. The limited vascular supply in these areas makes the healing process in between treatments longer. And finally, the size of the tattoo will determine the amount of time required to have it removed. A laser tattoo removal session lasts approximately 15-45 minutes. Usually, there is a 4-8 week healing time between sessions. During this healing time, the natural process eliminates the shattered ink particles from the body. Many people see little difference after the first treatment; this is entirely normal! Leaving adequate time between the sessions is important as it helps to minimize scarring and hyperpigmentation. As per the experts, on average, it will take about 14 months (putting six weeks in between the sessions) for a complete laser tattoo removal treatment.